As Fish and Game regulations become more complex, enforcement gets more stringent. A simple violation can result in fines in excess of one thousand dollars, jail time, and a conviction on your record. 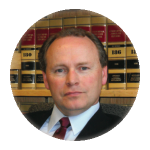 You need an attorney who is experienced with the Fish & Game Code, knows the Game Wardens and other members of law enforcement, and is familiar with the rugged coast and forest land of Mendocino County. This is an area where home field advantage makes a difference. Abalone cases are prosecuted vigorously on the Coast, and they should be, but punishment must fit the crime. Most violators receive a misdemeanor conviction for a first offense, leading to substantial fines and potential jail time. Many visitors to the Coast receive a citation for what they think is a minor violation of the Abalone law, only later to find out how harsh the punishment can be. Do not make the mistake of assuming there is nothing you can do, or it that it is not worth it to fight your case if you are not local and have to make a long trip to appear in court. In most cases we can appear for you, when appropriate, without you needing to lose valuable time from work or home. Many people assume you cannot fight a DUI. Do not throw in the towel until you consult with an attorney experienced in these matters. For over 16 years we have advised, represented, and defended drivers accused of driving while impaired. We keep current on the law, technology and new defense techniques. We have successfully defended cases on constitutional and scientific grounds. A conviction for DUI stays with you for life. Do not go to court without speaking with an attorney first.